Apparently I’m really into self-help books right now. I walked into Barnes and Noble today, looking to be captivated by, yet, another title of a book from the bestsellers shelves. I intently decided on non-fiction, in an effort to continue reading about real life, instead of trying to escape it through fiction. I’ve decided that, one I get a hold of reality, I’ll allow myself to slip back into fantasy. That time is fast approaching, but I don’t think I’m in the clear yet. 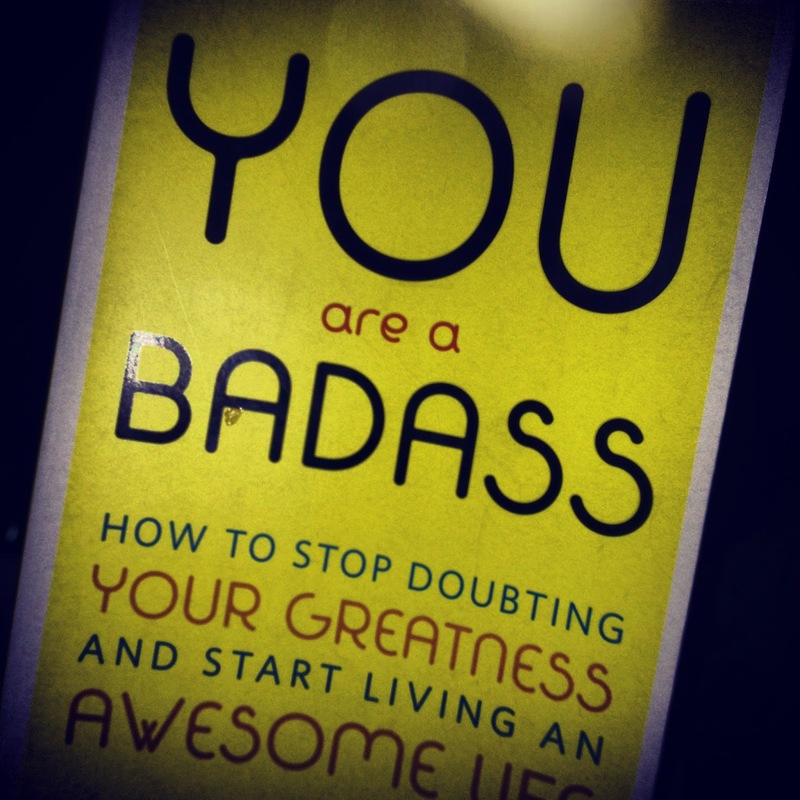 Anyway, as I was perusing the shelves, I stumbled upon this beauty: You are a Badass: How to Stop Doubting Your Greatness and Start Living an Awesome Life. Okay, so maybe it is geared towards women, and maybe it’s a little bit too self-appreciating, but why the hell not? I’ve spent the last few months making myself feel more than bad enough about whatever the hell has happened, why not overcompensate for 250-something pages to get myself back on track? In the book, the author’s main message is to “love yourself,” and while I’m kind of getting tired of hearing it, the author is rather funny, and I’ve convinced myself that maybe it is just what I need to hear over and over again. And yes, I’m sure I could hear this message relentlessly repeated to me in therapy, but I really don’t like therapy, even though apparently a bunch of people think it would be good for me. I’ve tried it before, and maybe this is arrogant, but I feel way too self-aware to pay someone what seems like a million dollars an hour to tell me I have daddy issues and I’m self conscious. I know I do. I know I am. What I need someone to do is remind me to get the hell over it and to stop dwelling. But I need to feel in control, too, and in therapy, I do not. By choosing to read this, and by choosing to continue flipping the pages, I almost feel like I am telling it to myself, and that feels overwhelmingly powerful. I don’t think I’m enough, at this point, to continue telling it to myself without some external stimulus, but I don’t think I’m comfortable enough, at this point, to make that external stimulus other people. So, for now, in the privacy of my own mind, and I suppose with publicity in this forum, I am going to tell myself that without having to look anyone in the eye. I am going to keep telling myself I’m a badass, and I’m going to make myself believe in my greatness. And today, above all else, I am undeniably grateful for my third-life crisis, or quarter-life awakening, or whatever the hell you want to call it. I’m grateful for the the change, because I think it was the first step to this self-realization of greatness. While I thought I had, perhaps, been in a state of crisis prior to May this year, I realized I was simply in a state of indifference. I had convinced myself that my life was set and that my path was predetermined–that there was nothing I could do to steer my course elsewhere. I thought I wasn’t enough or deserving of something better, when really I was enough. In reality, he wasn’t, and the half-relationship we created wasn’t, either. , a whole slew of positive things began to happen, and despite the bumps, flat tires, and dinged rims, I’m the happiest I’ve ever been. I think I’ve still got some work to do, but I’m sure I’ll be grateful once that work is done, too.